It’s good to have all your data gathered in one place. That is why SEMrush has joined forces with Crunchbase to provide you with relevant information on any business you research. Now you can see all the main stats of a company, including their volume of investments and number of staff, right in the Traffic Analytics interface. Data accuracy is secured by Crunchbase’s artificial intelligence and machine learning algorithms. Study the website performance of your competitors, prospects or potential partners, along with their overall company progress, and make an initial appraisal at a glance. Gain market insight by comparing several industry players at once. Prioritize your rivals and prospective allies according to their business - and not just online marketing - success. 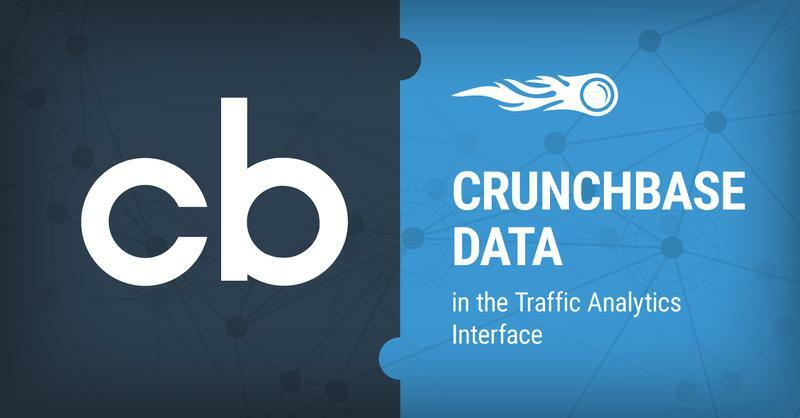 The Crunchbase-provided data is already available in the Traffic Analytics interface. Paid users of all categories have full access to the integrated content. Free users can check out the advantages of the feature in our three domain examples. See the Crunchbase-powered tool in action.